No one can have failed to notice the shocking rise of homelessness in the UK. This has more than doubled under the Tories, and there’s been a four-fold increase in people sleeping on the streets. Home ownership is at a 30-year low, the building of social rented homes is at an all-time low and one in ten homes is unfit for human habitation. 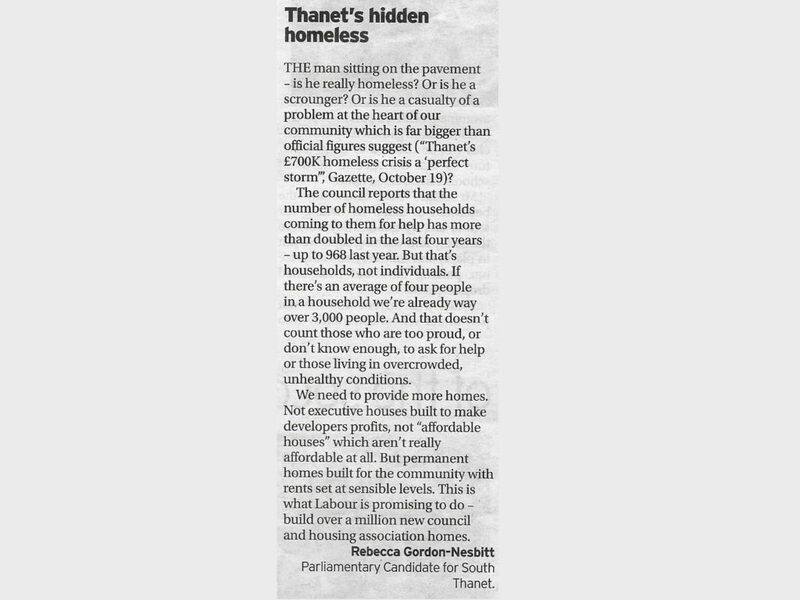 My letter about homelessness in our area was included in today’s Thanet Gazette.